Martin Arnold, USDF Bronze & Silver Medalist is now scheduling clinics for 2017. He is a long time student of USDF Hall of Fame Dressage master, Charles de Kunffy. 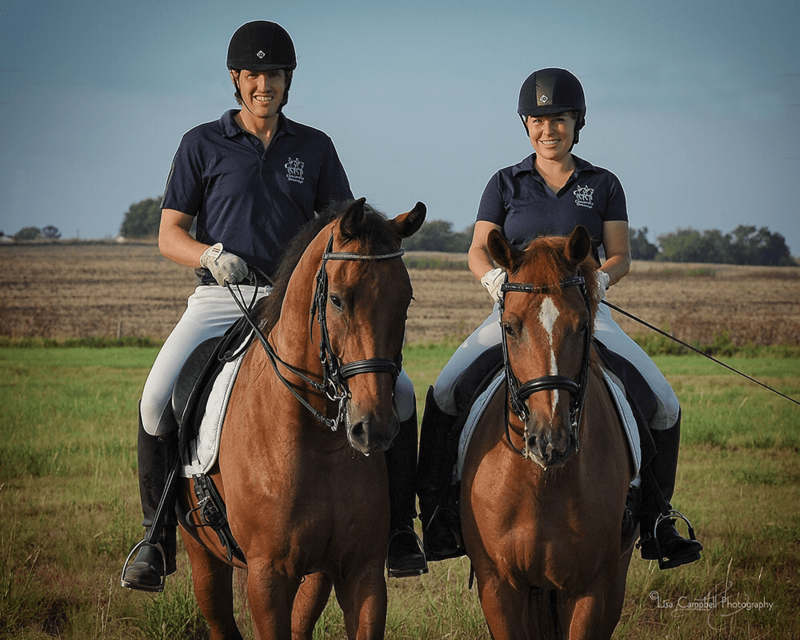 Martin excels in working with horses of any breed and riders of all levels. His passion for the art of classical riding comes through in his patient and quiet demeanor. Martin's students praise his ability to pinpoint errors in rider equitation and how that affects the rhythm, connection, impulsion and straightness of the horse. He excels in coaching the rider to ensure that their horse is well rounded in the basics so that riding becomes not only enjoyable for the rider but for the horse as well. Dressage, at its best, should be physical therapy for the horse. New for 2017- Add on a lecture to your clinic to make it a truly unique experience! Martin believes that to be a great rider, one must have an understanding of Dressage theory to really understand the complexitys of training. All lectures are 30 minutes. "Dressage is not only an athletic pursuit, but an academic one as well." The Integration of the Seat- In this lecture, Martin gets deep into the topic of the importance of having a deep, integrated seat and it's relation to your horses way of going. He talks about exercises to strengthen the riders core and develop a proper seat. The Training Scale and its relation to classical riding - In this lecture, Martin discusss the six elements of the training scale and how these elements work together to create a fluid and elastic horse. Evaluation of horse and rider- This lecture is a perfect addition to the previous lecture on the training scale. Either lecturing freely or using a demo rider, Martin shows how to evaluate a riders equitation and a horses way of going to then be able to identify weaknesses and discuss how to choose exercises that strengthen, straighten and supple a horse. Dressage as Art- In this lecture, Martin discusses a bit of dressage history and how dressage is truly a living art and how those of us pursuing this art are its custodians and must carry it on to future generations. Gymnastic Exercises- This topic will give you plenty of tools to add to your tool box! Common problems are discussed with specific exercises to combat those issues. Spirit of the Rider- This unique lecture discusses character attributes that lend to becoming an excellent rider. Mindful Riding- This lecture is based on our new Mindful Riding program which brings in elements of personal growth and self discovery into the journey of riding and horsemanship.